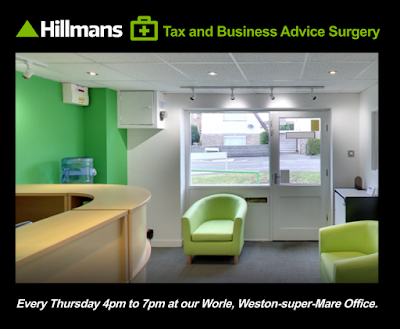 We have just launched our new ‘Tax and Business Advice Surgery’ at our office in Worle, Weston-super-Mare. The surgery offers free one-hour consultations for both businesses and private individuals, and provides professional, independent advice on a wide range of tax and general business planning and accounting issues. The service is completely free to any local business owner or private individual who would like some professional tax or business advice. 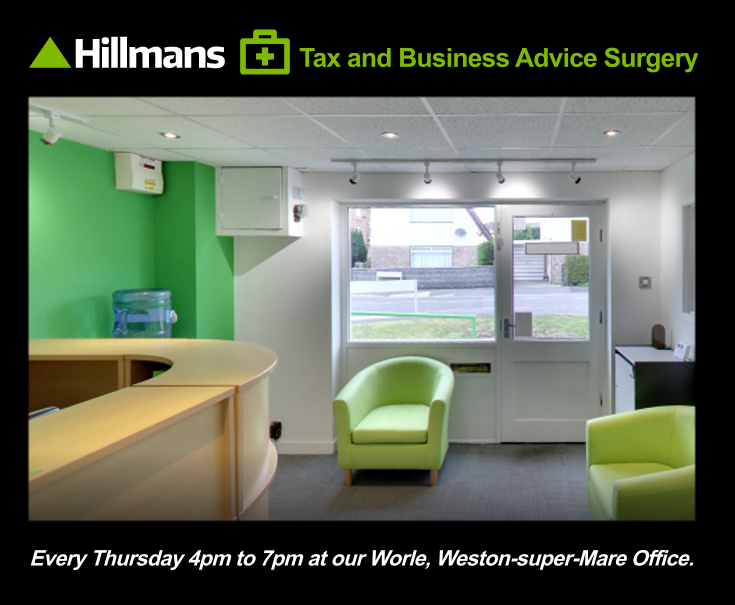 The surgery is led by the firms’ director and Chartered Accountant Steven Hillman and is available between 4pm and 7pm every Thursday. Anybody interested can call the office on 01934 444100 to book a consultation, or please email the team at info@hillmans.co.uk. Please note other consultation times are also available throughout the week subject to availability.